Ahead of the Curve: Innovative Technology Solutions in Boston – Synivate, Inc.
Today’s businesses are always looking for new ways to improve productivity and reliability in the workplace and within their IT environments. New and emerging technologies continually appear on the horizon to help companies to go higher, further, faster, but will they have the skills to get there? You can obtain these innovative technology solutions for your business when you partner with Synivate. We have been working with clients to increase security, boost abilities, and improve productivity in Boston for many years. Our team of highly qualified technicians have over 30 years of combined experience in Information Technology and stay on top of the latest technology, trends, security, and customer service requirements to provide our clients with the total package for IT solutions and remote monitoring in Boston and the surrounding area. A recent study revealed that nearly 75 percent of all technology professionals working in the industry today would need to develop new skills in order to manage their hybrid IT environments in the next few years. Unfortunately, more than 80 percent of the IT pros that were surveyed stated that they did not have the time, training, or budget to accommodate training and education. 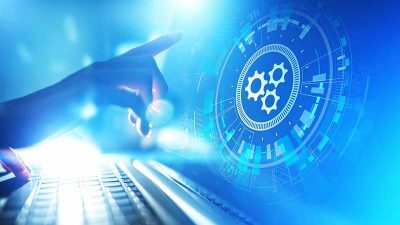 Skills in the areas of hybrid IT deployment management and monitoring, security management, and data science and analytics will be required even more in the next three to five years, according to industry experts. Will you and your staff be ready to meet the challenge that comes with tomorrow’s emerging technologies? Artificial intelligence, quantum computing, as well as machine and/or deep learning are just some of the areas that technology professionals will need to include in their skillset. Technology and business performance are incredibly intertwined, making it essential for companies to ensure that their IT staff are receiving the training and career development education they require to stay ahead of the curve. Weekly and monthly training programs are suggested to ensure that tech workers will have the abilities necessary to meet the demands of productivity and reliability in future business technology. When you hire our team to provide you with innovative technology solutions, you will get rapid response, reliable support, and strategic service options that you can use to take your business into the future. We understand that there is nothing more important than the peace of mind that comes from knowing that you have professional, consistent, and reliable IT support at your fingertips. Our IT solutions for business are developed with that foundation, and every service that we offer is implemented with this goal in mind. We strive to help our customers to improve uptime, reduce the potential for problems, and increase security and performance wherever and whenever possible. Our team of highly trained and experienced technicians stays ahead of the curve by maintaining our education and hands-on training regularly. Some of the solutions that we offer to our clients include Cisco Meraki Cloud for unprecedented security and monitoring by our network operations center, and RansomWare Protection through education, patching, updates, managed firewalls, filtering, and a comprehensive disaster recovery plan. We offer a wide range of forward-thinking services, including 24/7 monitoring, business continuity, cloud computing solutions, communications, help desk support, network security, and professional consulting and strategy. Whatever the coming weeks, months, and years hold for your business and the integration of emerging technologies, you can count on Synivate to provide you with innovative technology solutions designed specifically for your needs. Finding new ways to boost productivity and reliability through remote monitoring in Boston and specialized services, our team of skilled and experienced technicians will serve as a partner in your company’s growth and expansion. We have worked with clients covering just about every industry in today’s business market, ensuring that we are prepared and ready to help each company we work with to the next level of success. Get started today with a FREE IT Assessment. It takes just about ten minutes to complete but can help you identify the areas where you need support and solutions the most. You can also contact one of our team members directly by calling 617-517-0704. We can answer any questions that you might have about our services and solutions or help you get started to increase security and improve productivity in Boston and the surrounding area.